Looking for a style change? Trying to find your signature style or your style philosophy? Honing your style is a process that takes time. Below I share some tips on how you can develop your own signature style. What’s your current style profile? What do you like? What don’t you like? What’s working? What’s not working? Think about these questions and answer them truthfully. 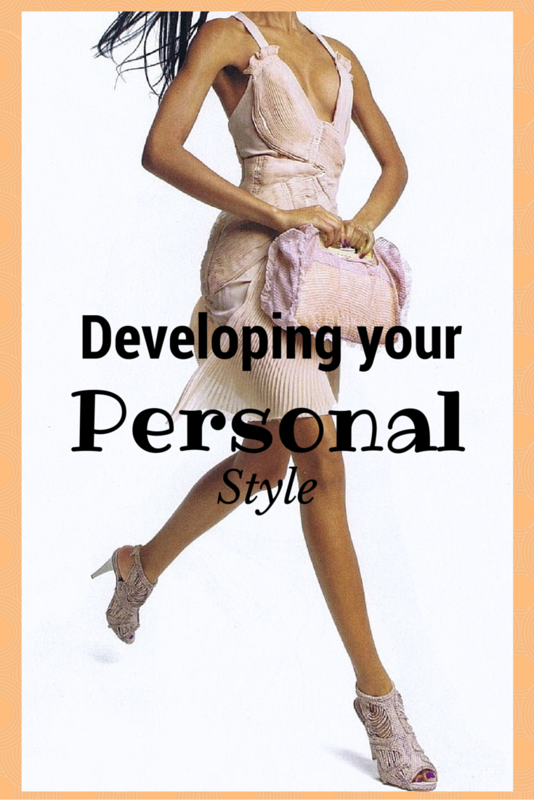 This is a great and honest place to start in personal style development. If nothing else, it will help you to eliminate what doesn't work and to keep what does. Start saving style/fashion photos that inspire you. It’ll give you a better sense of what you like and gravitate toward. Over time you’ll notice silhouettes, patterns, cuts, textures and colors that you like, which you can use to incorporate into your own personal style. It’s almost impossible to hone or own your style if you wear uncomfortable clothing. Not every trend or “hot item” is for everyone. If you feel uncomfortable wearing something, don’t wear it; believe me it shows. Only wear things that help you feel comfortable in your skin. So you’ve been wanting to mix prints and /or colors or you've been yearning to wear a particularly quirky outfit, but you're afraid. Wear it anyway! Do it afraid. Stop waiting to express your style out of fearing what others may think. You’ll only start honing your personal style by expressing it. What are some of the things that you've done to develop your personal style?